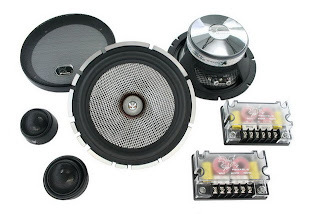 I have this component speakers as my front component, wired to Audiobahn A6004V 4 channel amplifier. Initially I used Audiobahn 6.5 ABC6002V component speaker set, and the voice coil spoil after 1 year usage, and I changed to this new pair of toy. This speakers delivers very clean and strong mid, which is superb for SQ (sound quality) listeners. I have no complaint with this speakers so far, bought it for USD150, or RM500.With the price and the sound quality, I would say it is definitely worth a try. 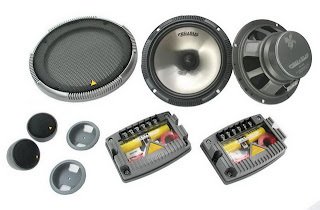 However, if you have a bigger budget, I suggest try PEGASUS PG162P 6.5" Component Speaker (As depicted below). It produces even deeper and stronger MID BASS,and the tweeter is super crystal clear. Overall, I will give Pegasus PG65 6.5 Component Speakers a rating of 7/10. However, the real quality is really subjective, depending on the listener's preferences, cars, songs, and etc.